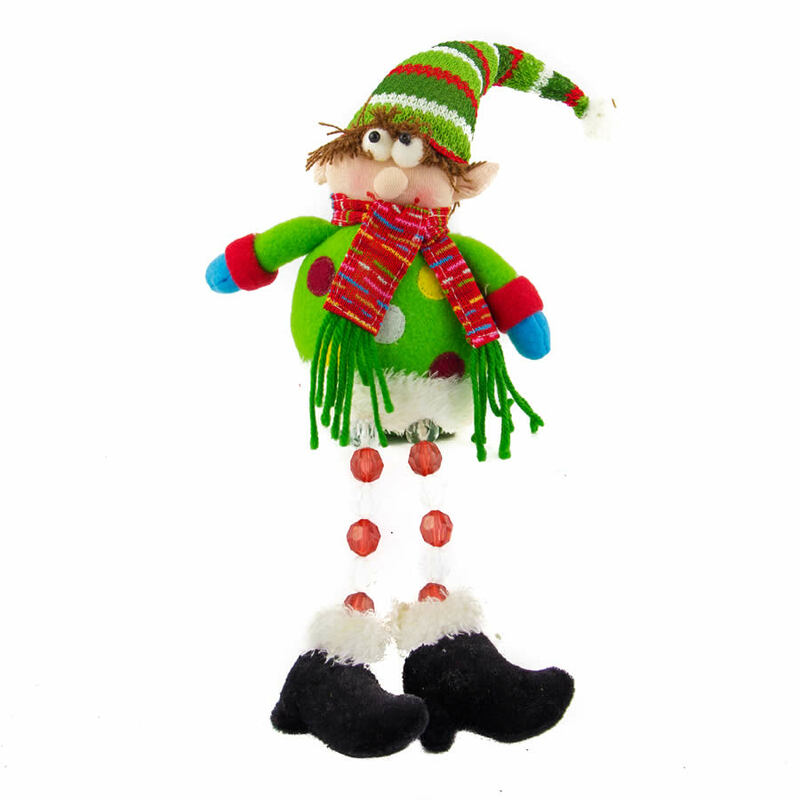 What a silly little guy this Elf with Acrylic Beaded Legs is! Each 10cm wide by 28cm high elf resembles a merry little snowman, fat and white with clever beaded accents. The red and clear beaded legs give him a festive look, and also serve to support this cheery chap when he sits on your mantle, table, or shelf this Christmas season! This would be a wonderful item to share with someone else, either as a fun holiday gift or a great piece of Christmas deecor. These beaded leg characters are clever, take up little space, and bring smiles to the faces of all who see them. Enjoy the whimsy of this funny little fellow who seems to be smiling at something that he sees. 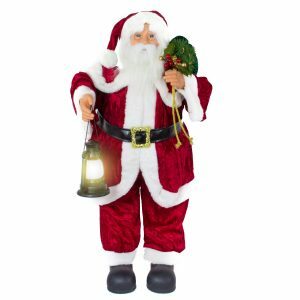 He also is wearing a bright and vibrant ensemble that will make him pair cohesively with your traditional holiday colour schemes. Give this sweet little fellow a home this holiday, and you will find that he becomes a cherished part of your home’s Christmas decor.